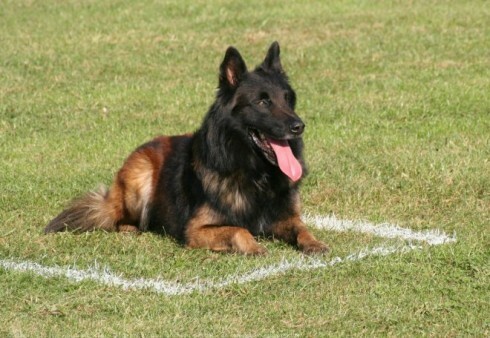 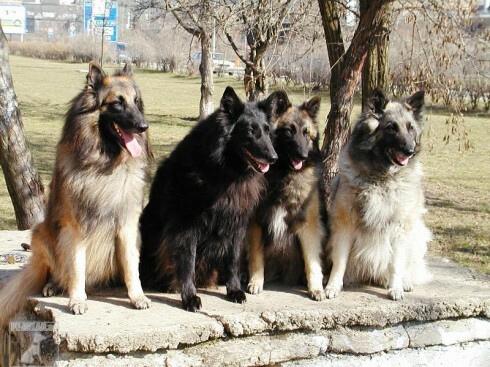 The Belgian Tervuren (Ter-VYUR-en) is a beautiful, intelligent dog that likes challenging activities and nearly constant companionship. 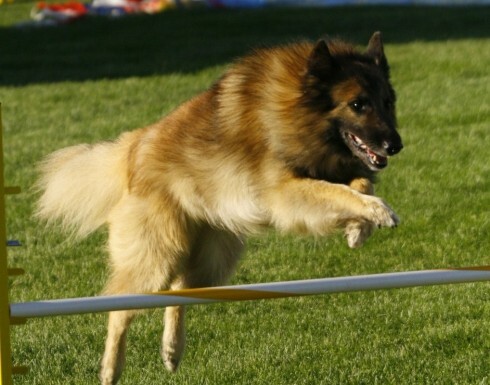 Tervueren excel in activities and competitions. 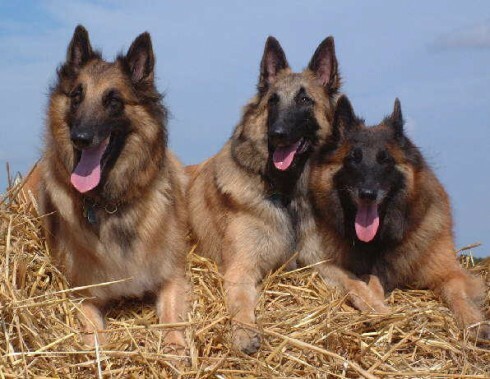 They make top-notch therapy or guide dogs for the disabled, and of course they are excellent at their original job, herding. 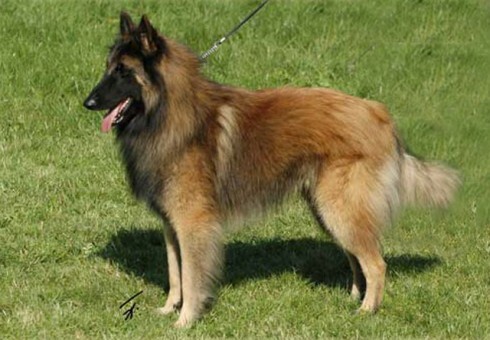 The variety designation, Tervueren, owes its name to the Belgian village of Tervueren. 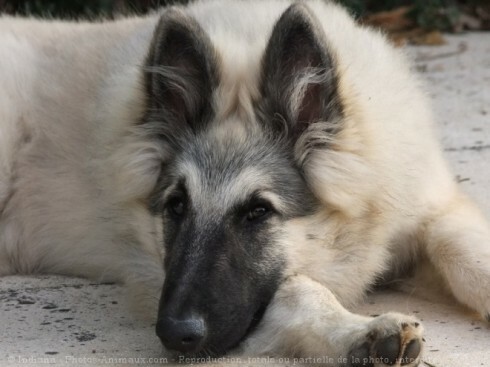 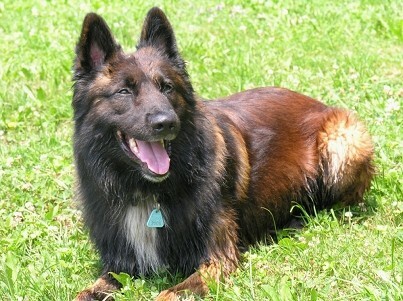 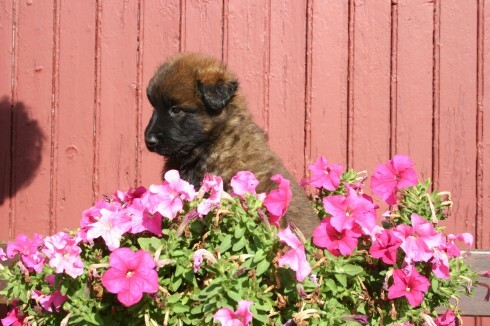 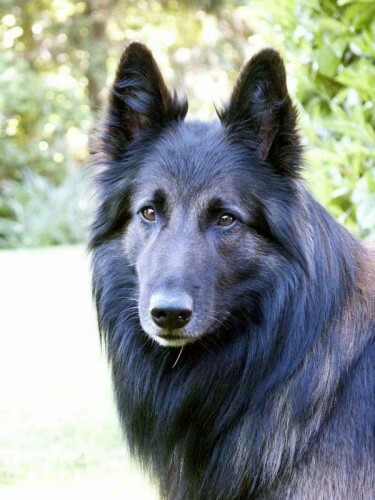 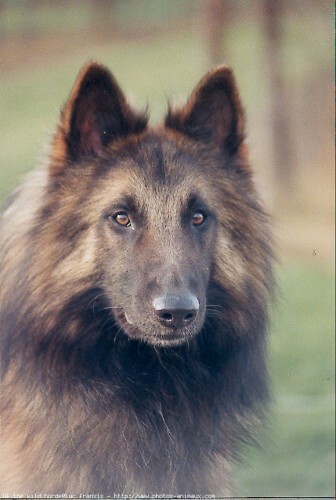 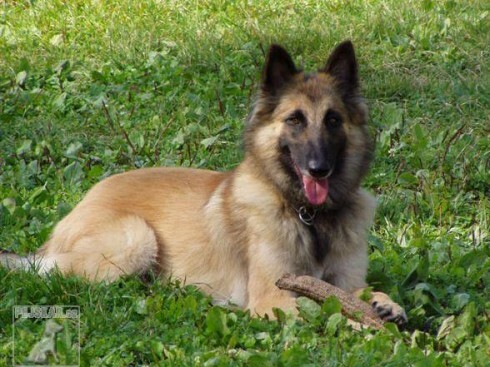 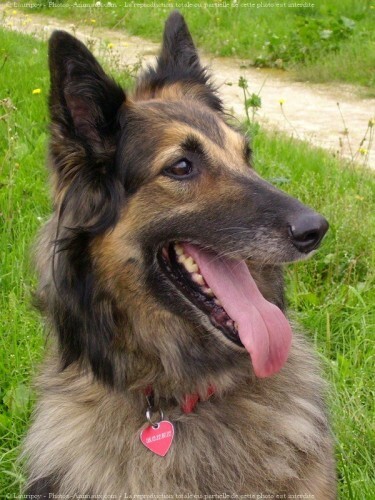 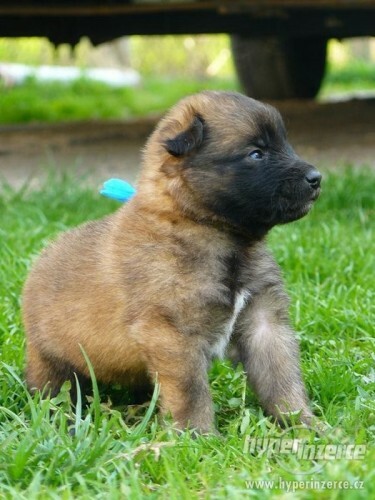 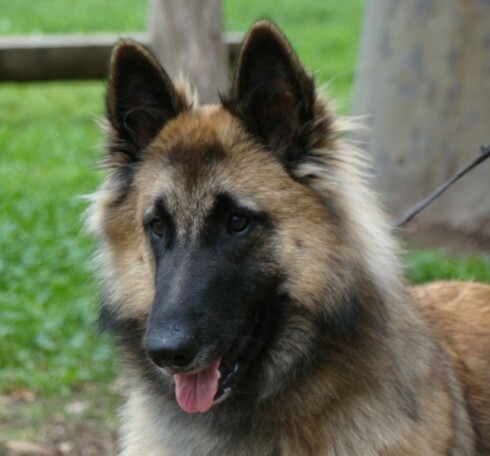 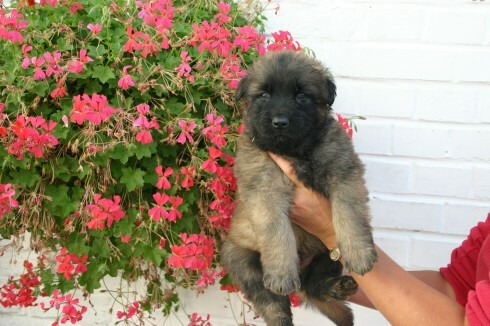 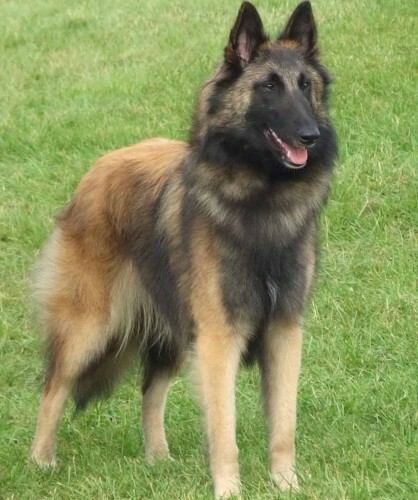 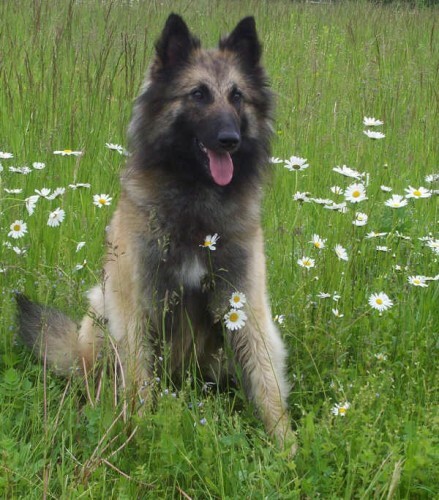 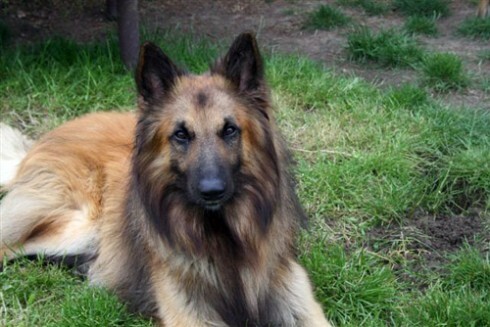 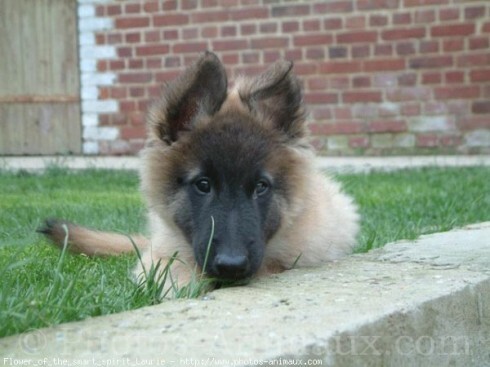 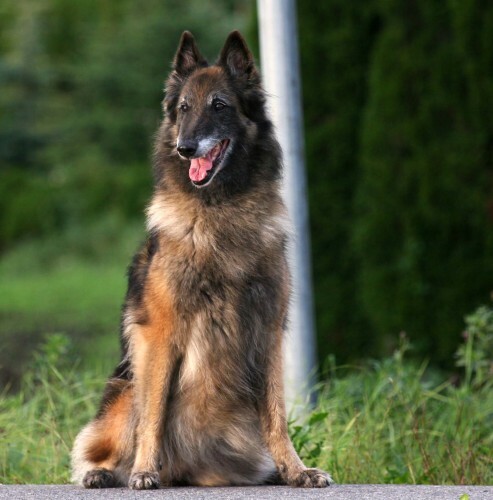 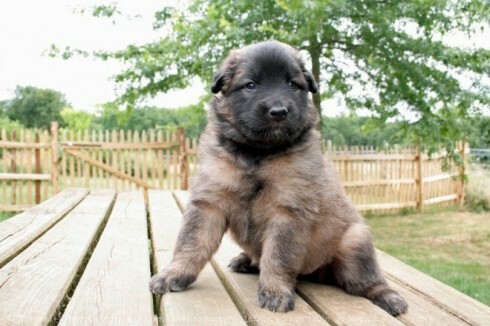 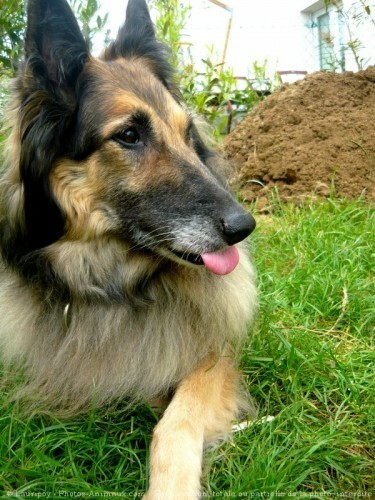 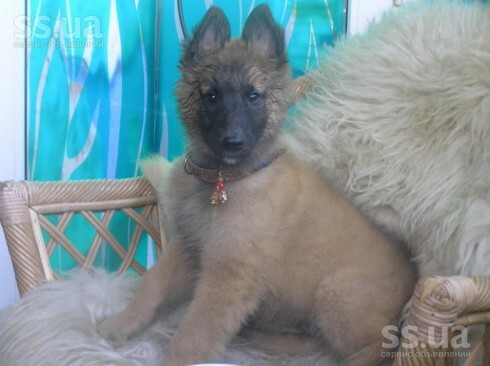 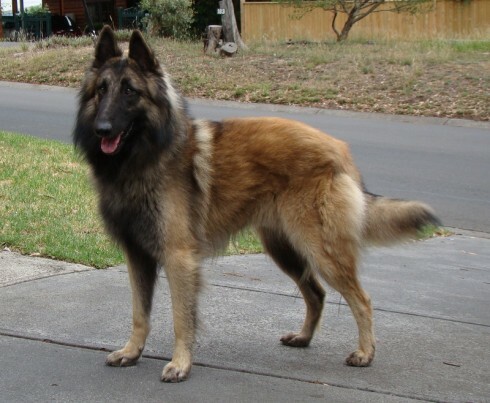 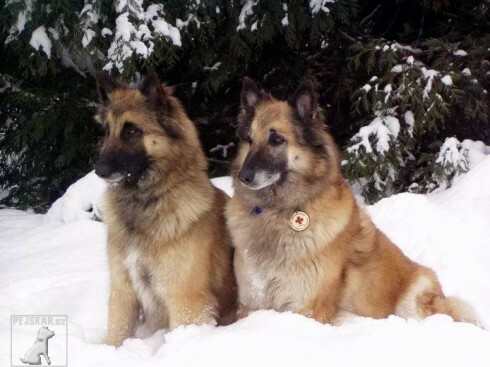 The Tervueren was literally created after World War II, from the longhaired puppies in Malinois litters and the fawn-grey puppies in the Groenendael litters. 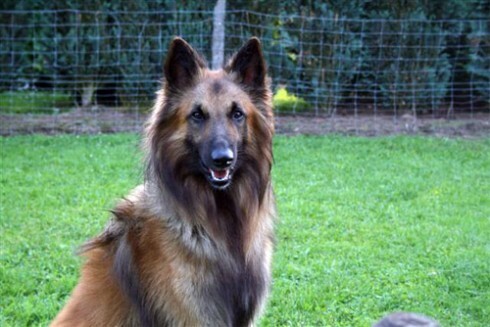 So you want to own a Belgian Tervueren? 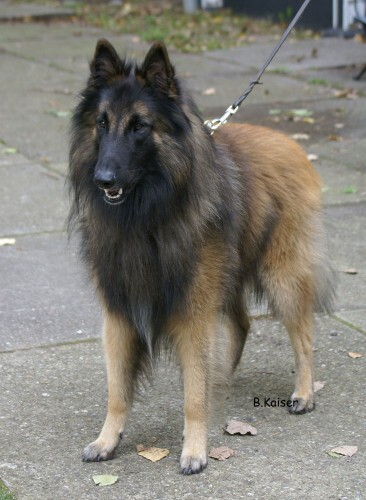 The Belgian Tervueren's most identifiable feature is his long coat. 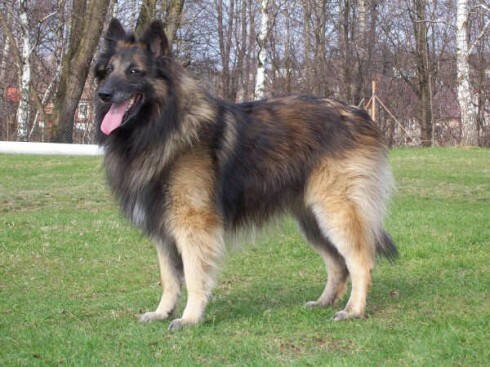 The coat requires weekly brushing to remove excess hair. 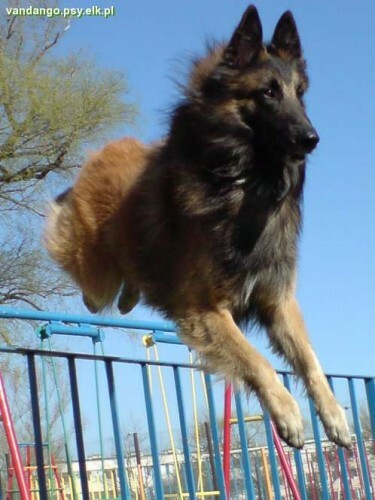 He is an active dog who needs daily exercise. 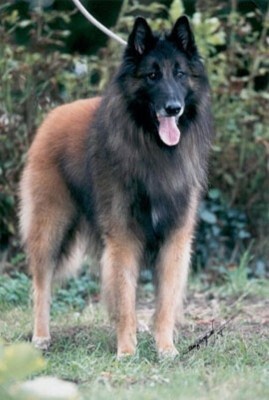 The Belgian Tervueren needs to be a close companion. 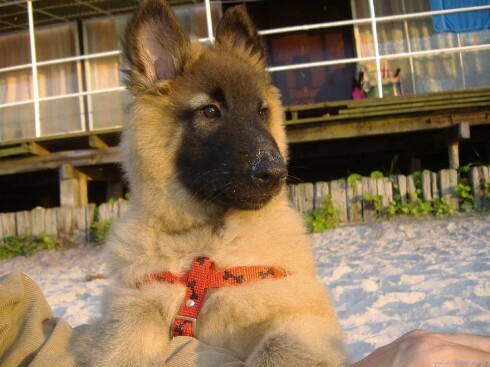 He usually chooses one person to whom he will become attached. 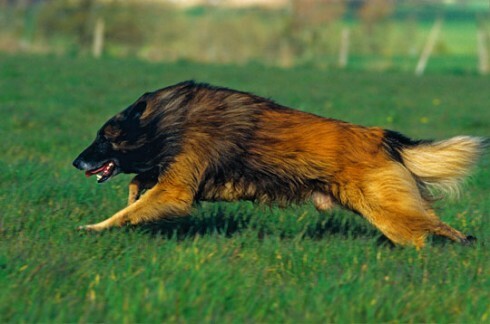 Malinois - Hair very short on head, exterior of ears and lower parts of legs. 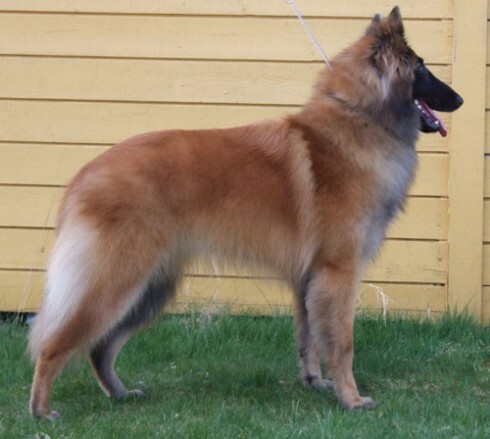 Short on rest of body, thicker on tail and around neck where it resembles a ridge or collar, beginning at base of ear and extending to throat. 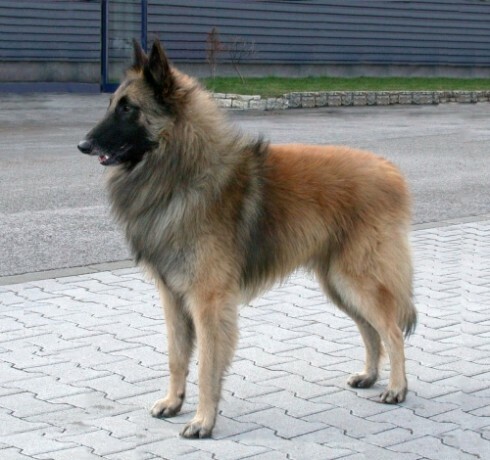 Hindquarters fringed with longer hair. 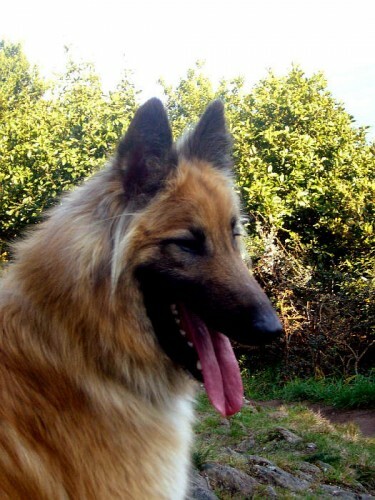 Tail thick and bushy. 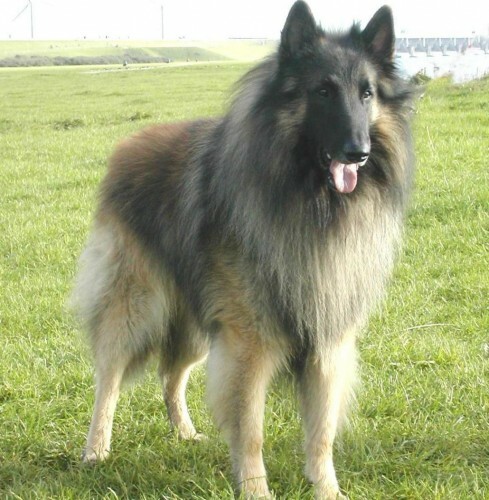 Coat thick, close of good firm texture with woolly undercoat, neither silky nor wiry. 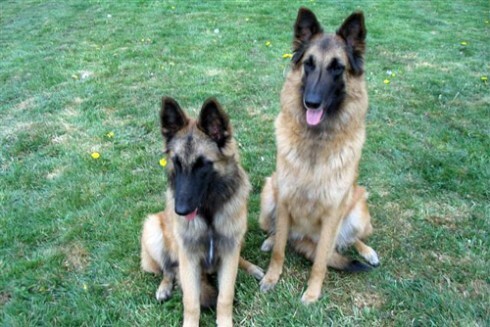 No variation in these types is acceptable. 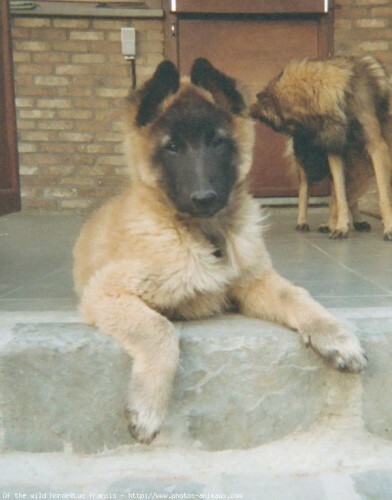 Tervueren/Malinois - All shades of red, fawn, grey with black overlay. 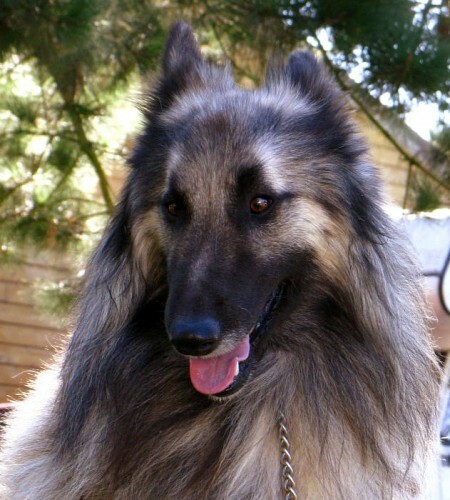 Coat characteristically double pigmented, wherein tip of each light coloured hair is blackened. 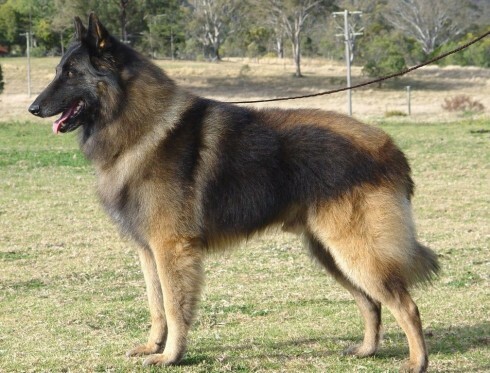 On mature males this blackening especially pronounced on shoulders, back and rib sections. 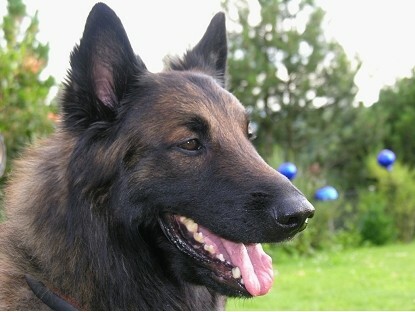 Black mask on face, not extended above line of eyes and ears mostly black. 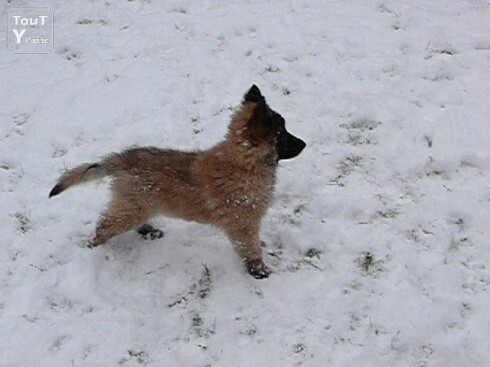 Tail should have a darker or black tip. 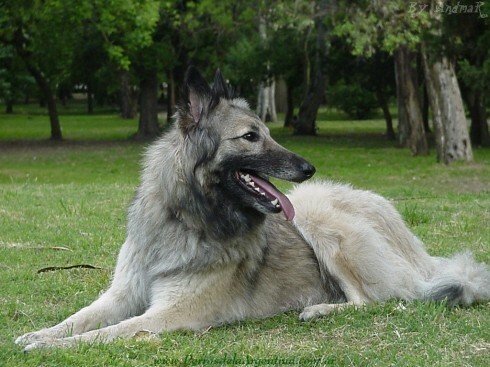 Small to moderate white patch or strip permitted on chest, between pads of feet and on tips of hind toes. 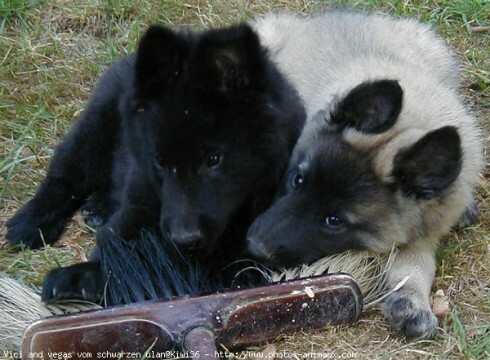 Frosting (white or grey) on the muzzle. 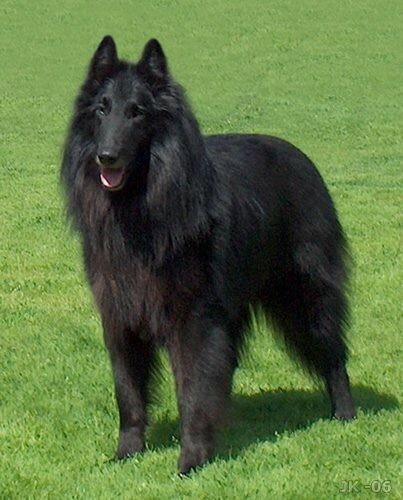 Beyond the age of 18 months a washed out colour or colour too black undesirable. 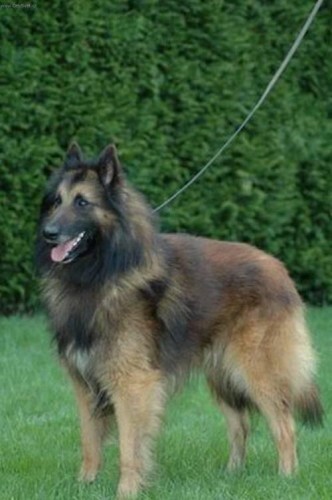 No variation on these colours by coat type is acceptable.